Should Roofing Insulation Be Removed Before a Roof Replacement? Contemplating a roofing replacement? It may have you thinking about what needs to be updated throughout the rest of your home—specifically the decking and insulation your roof. Do you need to replace, repair, or remove insulation before the roofer begins? And what exactly does a roofer do? Let’s take a look at these questions—and more!—so your roofing replacement can go off with a bang. What Exactly Does a Roofer Replace? 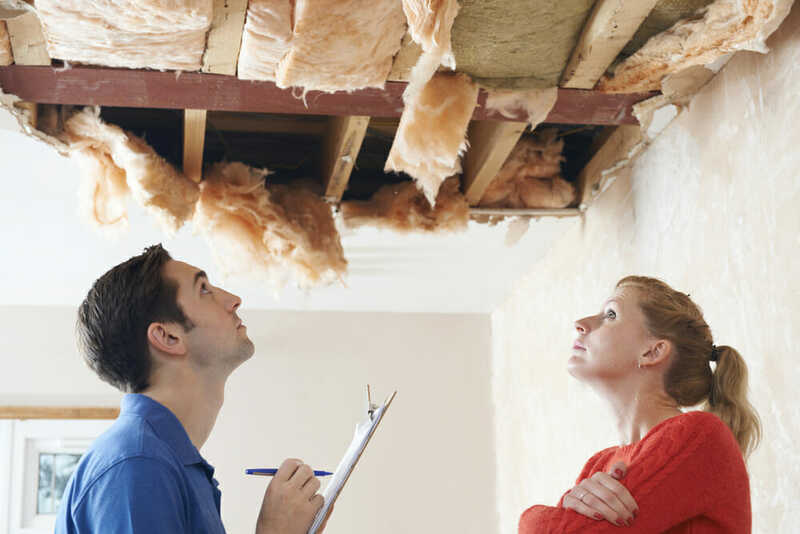 So do you need to remove insulation before the replacement project begins? In most cases, no. As long as your roof’s decking—the surface below your shingles—remains intact with no visible damage, your roofing company will likely leave it alone. Otherwise, they’ll tear off the shingles and asphalt, leaving the decking in place. Your cavity insulation sits below that decking, against your roof’s studs and sheathing. So there’s really no need to do anything to the insulation in your attic—unless you have some sort of damage on your decking. In that case, you may need to replace insulation after the roofer removes the decking boards. In fact, homes with unfinished attics may have no rafter insulation at all—instead, they rely on fiberglass batts or blown insulation installed between the joists on the floor. In either case, though, your insulation should generally remain untouched while the roofer does their job. However, some homes have insulated roofing assemblies—usually those with low-slope, flat, or cathedral ceilings. With these, the builder may have installed rigid foam above the deck sheathing. In this case, the roofer will expose the insulation when they remove the shingles. But you still don’t need to worry about removing it, in most cases. Most roofers are familiar with roofing insulation, and they’ll know if the rigid foam needs to be replaced. Where there are leaks, roof damage usually follows. 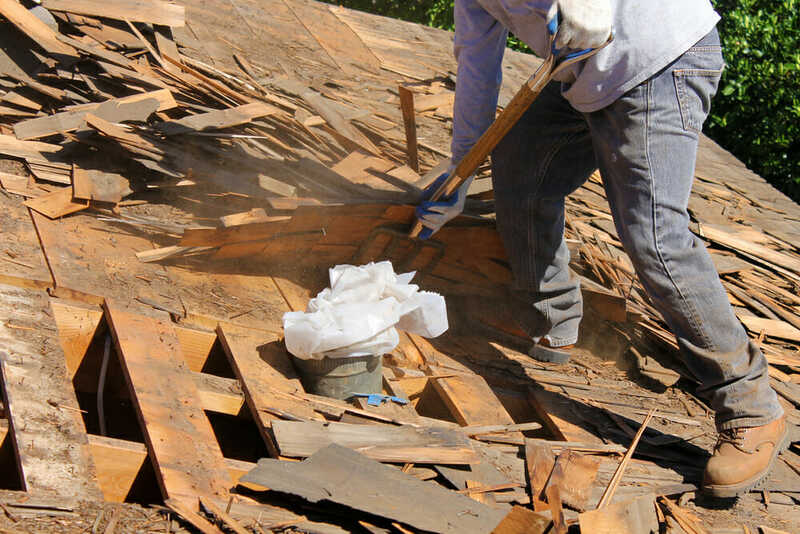 In fact, even if you don’t notice drips or other problems before your reroof, when the workers tear off the shingles, they may expose rotten, moldy, or cracked boards that need to be replaced. If you have a serious leak on your hands, it’s possible that the moisture has reached your insulation. Getting fiberglass insulation wet will seriously reduce its thermal properties. The water molecules replace the air pockets between the glass pieces. And that can cause mold to grow, or just reduce the effectiveness of your insulation. So if your fiberglass batts have gotten wet in the process, a full replacement may be in order. In fact, if your roofer sees that mold has progressed beyond the decking into your walls and interior, they may recommend more aggressive measures, such as hiring a mold remediation service. Usually, though, there will be other warning signs of a problem this serious. Or your roofer may test the boards and find that they’re light and bouncy—a sign that you have ⅜” plywood installed on your roof. Years ago, builders considered ⅜” to be an acceptable thickness for decking. But nowadays, most roofers go with boards that measure ½” or ⅝”, so the roof is slightly sturdier. So if your roofer discovers these older boards, they may recommend a replacement. In that case, the roofer will remove the decking pieces that need repairs and install new boards in their place. If they do that, there’s a chance you might need to install new fiberglass batts, rigid insulation, or blown-in insulation after the reroof is completed. If you need attic or roof insulation, your roofing replacement is the time to do it! This is especially true if you’re installing rigid foam insulation, where you’d need to tear off the shingles to access the sheathing anyway. In some cases, roofers have been known to help with blown-in insulation, as well. They just remove a piece of decking and bring the hoses in from the top of the roof, which helps keep them from tracking excess insulation all over the place from the inside. It’s definitely worth asking your roofer about the full extent of their services. Even if you already have insulation, if you frequently feel chilly or drafty, it’s possible you may need more. Improving attic insulation can potentially lower your annual utility bills by $600 or more. A home energy auditor can inspect attic insulation and let you know if yours could use an upgrade. With that much money depending on it, it’s certainly worth the initial expense! So although your new roof definitely offers an opportunity to inspect and repair your insulation, it’s not necessary to remove it before a roofing project begins. And that’s good news, because who couldn’t use a little bit less to do?